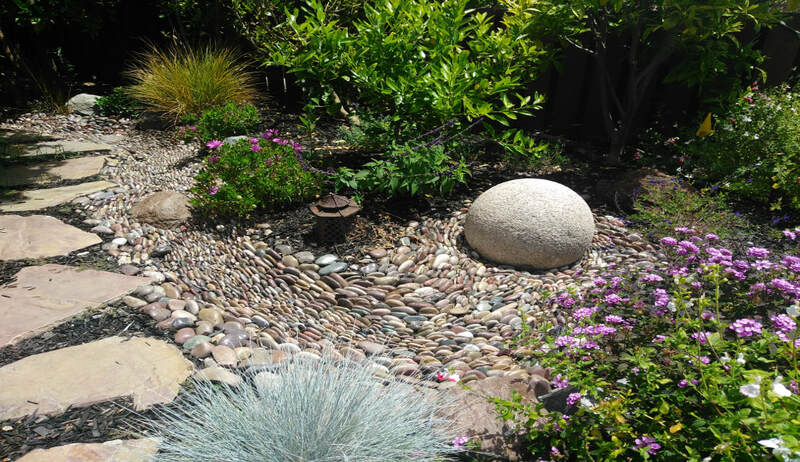 This seasonal creek bed channels rainwater from the roof away from the home's foundation and into the garden where seeps into and is stored in the soil for plants to access during the dry months. The rocks mimic nature's erosion-control mechanism for stream beds. River stones can be artistically-styled (as pictured below) to resemble flowing water. This type of feature can flow into other earthworks, and can include seasonal fountains and waterfalls.